Zojak World Wide is pleased to announce that just a few months after recording the international hit, ‘Barack Obama’, Jamaican roots reggae star Cocoa Tea is in the spotlight again with his follow up single, ‘Yes We Can’. ‘Barak Obama’, which has been circulating for months on the radio, among reggae fans young and old as well as casual music fans around the globe, is praised for its participatory message and catchy melody. ‘Yes We Can’ is Cocoa Tea’s brand new, non-partisan follow up calling for unity between people of all political affiliations, races and classes. 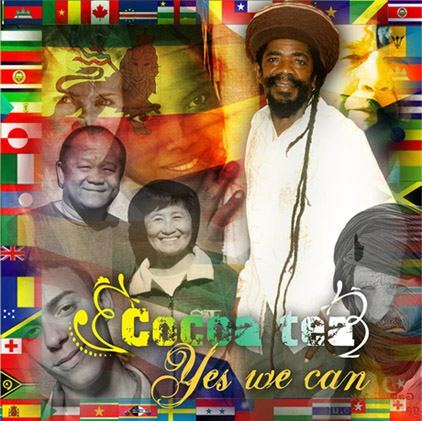 In cooperation with Zojak Worldwide, the leader in digital distribution, Cocoa Tea is making both tracks available for sale exclusively via the new website, www.cocoateabarackobama.com. ‘Yes We Can’ is Cocoa Tea’s response to ‘Barak Obama’. A rootsy, non-partisan appeal for all classes, colors, races and creeds to come together, ‘Yes We Can’ is a roadmap for people to unite across party lines, racial divide and international boundaries, despite personal differences.